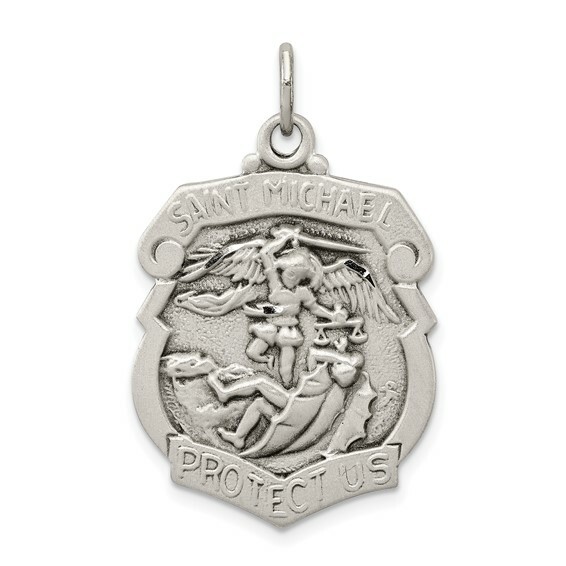 Diamond-cut, sterling Silver St. Michael medal weighs 4.26 grams. Measures 15/16 inch tall by 3/4 inch wide without bail. Jump ring size: 2.5mm x 3mm. We recommend a chain no wider than 2.0mm. St. Michael is the patron saint of policemen and radiologists. Chain not included.